Epox is always one to give users full control of their motherboards, and the BIOS on the 4SDA5+ is no different. 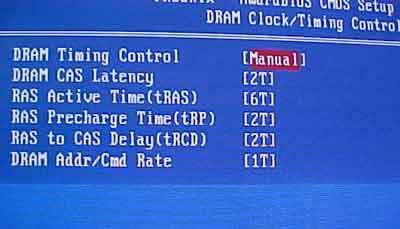 In terms of memory control, we have all the usual features like CAS Latency, RAS to CAS Delay and DRAM CMD Rate. Epox enable a whole load of very conservative memory timings like CAS3, RAS Values up to 8, Precharge Time's up to 5! 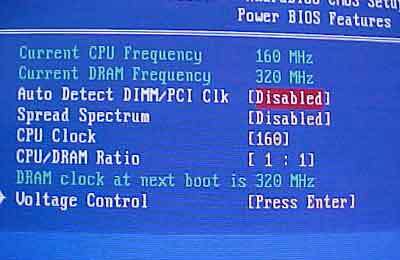 Here in the Power BIOS menu, you can adjust the FSB from 100-200 MHz in 1 MHz increments. There is also a whole slew of CPU/DRAM Ratio's. One of the great things about Epox motherboards is that CPU Vcore goes 2.025Volts. 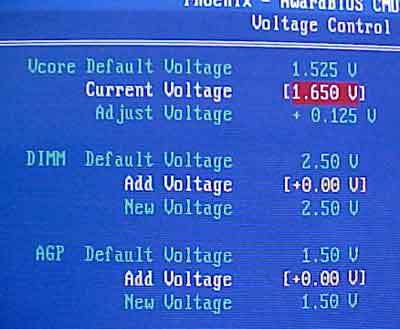 DIMM voltages go up to 3.2V, and you can even raise the AGP voltages to 2.2V!! !